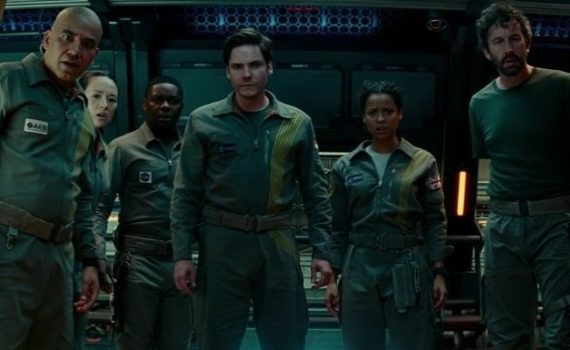 Back when Cloverfield Paradox was called God Particle, I was intensely excited for its eventual release. There was always some mystery surrounding when exactly that would be, but that was fine with me, and it was part of the buildup behind another piece to an unpredictable franchise. I was not prepared, however, for it to be released straight to Netflix immediately after the Super Bowl the same night we were given a trailer for the film. But again, fine by me, a surprise release, an atypical route, it only made me more pumped to watch. Which was exactly the point, make audiences feel like we absolutely needed to stay up and see what was happening, make us believe that something special was coming. When in reality, what was actually happening was that we were being fooled into consuming a terrible sci-fi flick, tricked into sitting down to what will most likely remain one of the worst movies of 2018. As Earth’s resources run low, the entire planet moves closer & closer to global war. Russia, Germany, England, China, the US; each super-power wants the little that’s left to keep the light on, and each is willing to fight to get it. But there is a possible scenario to avoid bloodshed, although it’s a long shot at best. In space, a team of scientists are working on the most powerful particle accelerator ever built, a machine that can release limitless energy from the very particles that make up our universe. Sounds great, if it worked, but so far it doesn’t. And as the years tick by, the situation on Earth grows graver, while the scientists become more desperate to solve the problem, or watch civilization completely collapse. Oh, and there’s one more thing; their meddling with the very fabric of the galaxy could rip open a hole between alternate dimensions, throwing multiple realities into complete chaos. Good luck guys, don’t screw up. It all started with Cloverfield, the shockingly good hand-held horror flick, and it continued with 10 Cloverfield Lane, another intense piece of cinema set in the same wacky, monstrous universe but taking audiences down a different part. There was reason to be excited about this third installment, and it was believed that it would tie the films together, answer some questions, give us a sense where this franchise was headed. But if this is the path it’s going down, no one is going to follow it. Paradox is simply an awful space story, a good idea gone so wrong that you can hardly believe your eyes and ears. First, it does answer some questions, but I’m not sure big fans of the series will be happy with the results. I don’t care intensely, but I do wish Donal Logue hadn’t told us specifically what was going to happen in the first 10 minutes, leaving the rest of the plot to devolve and splinter into tiny dramas that were each individually horrendous. Gugu was dreadful, her single-tear-intense-look overused to the point of pain. I love Bruhl, but his character was dumb. And the other actors were a bunch of b-listers: Chris O’Dowd, John Ortiz, Elizabeth Debicki. 10 Cloverfield Lane was so much better, Life was so incredibly more entertaining and captivating; how they got this movie this wrong will perhaps always be a mystery, one that I doubt anyone cares to solve.